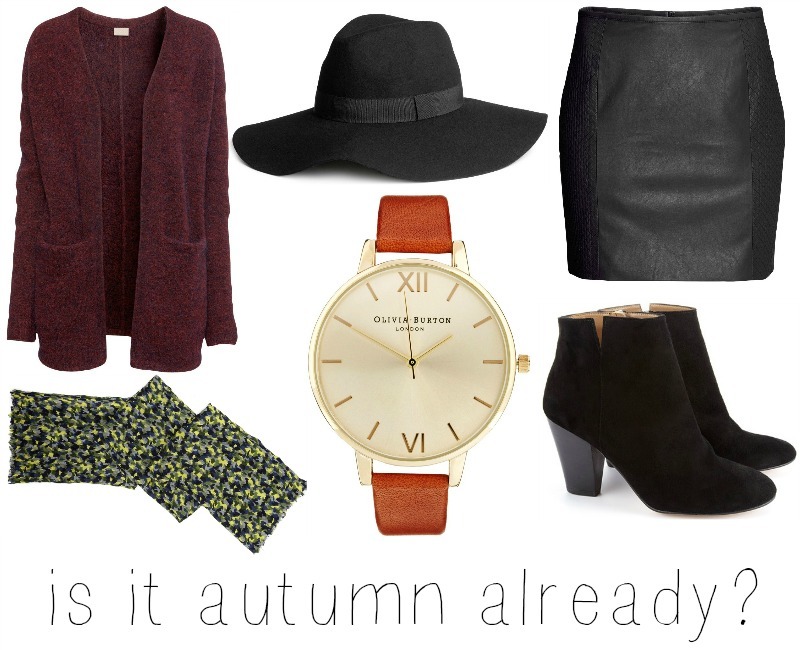 I love the summer - the sunshine, warmth, a tan... but I love autumnal fashion. I know, a dilemma right? I'm already seeing so many things I want to buy for when the temperature drops a little; cute boots, colourful layers, different textures and prints. My constant concern at work is looking vaguely smart - or a I suppose if I'm honest, looking like a teacher and not like one of the students! Being in my mid-twenties, my fashion sense isn't that far off that of the students here (I teach in a sixth form), and sometimes I just blend in. Granted, I'm not wearing bum-grazing hotpants or stomach-flashing crop tops, but I shop in the places they shop and there have been many occassions when I've been wearing the same top/sandals/trousers as a student! This year I am planning to up my game a bit - wearing heels more (its so easy to just wear flats or boots and be done with it) and smarter items. I don't know what it is, but for me I find its easier to dress smartly in autumn. I think it's because the cooler temperatures allow you to layer on blazers and accessories, whereas in summer it is a battle to stay cool! So above are some of my key autumn pieces; items that you can wear in a whole range of ways and with different things. I love ankle boots and have too so many pairs - they are perfect for wearing either with jeans or with a dress and tights. Make sure they have a small heel and you'll feel smarter and more feminine, but still have the comfort-factor. I absoulutely love mixing textures, and am a bit of a leather-fiend! Wear a (faux) leather skirt with a loose tee and knitted cardi for a laid back look, or with a blouse and heels to feel a bit smarter. And remember, the key is in the detail - wide brimmed hats, scarves and statement jewellery (or a watch) is what autumn is all about. What are your key autumn pieces? Yes! I love Autumn! Love that red caridgan, so pretty! That cardigan is beautiful, it looks so cosy!